Where can you have more fun? Having fun is highly underrated. We forget to have fun at work. We neglect to have fun in our daily lives. We grow out of having fun as we age. Yet fun can be an extremely effective and motivating leadership skill. I am convinced that corporate America is suffering, at least partially, from a lack of fun in the workplace. 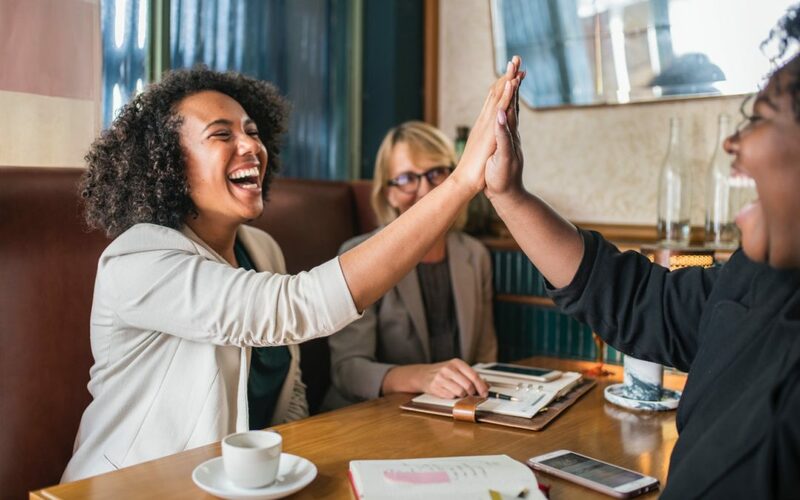 Laughter, lightheartedness, spontaneous connection and smiles – fun – all these things add a lightness to the workplace that brings out the best in us. Somehow we think this is reserved only for creative and “young” places to work like boutique ad agencies, toy manufacturers, and hip retailers. Many of these organizations have figured out that people are more likely to think creatively, to break down interpersonal barriers, to go the further distance and give a bit more time and energy to their project and/or team when they’re having fun. In our own business, our most successful development seminars incorporate fun – around whatever topic through which we’re working. When we allow clients a chance to laugh and play, and then redirect them to learnings and skills that can bring immediate impact to their work and their lives, their takeaways are always richer. Fun can mean outright jokes and silliness – games after hours or during much-needed breaks. Or fun can mean simply being able and willing to look at the lighter side of any issue and find a reason to smile and to share a chuckle. Either way, when we stop to acknowledge and initiate fun, we lessen our seriousness and bring in new opportunities and ideas. When leaders allow and encourage fun in their organizations, they allow their people to bring their whole selves to work. When parents allow and encourage fun in their homes, they allow their children to be and to learn. To have fun. Which is good. Find an opportunity to have fun, by yourself or with others. Play and enjoy yourself. Where can you have more fun in your work and your life? Where can you allow others around you to have more fun? For help in finding fun in your work and your life, contact Lisa at lkohn@chatsworthconsulting.com.